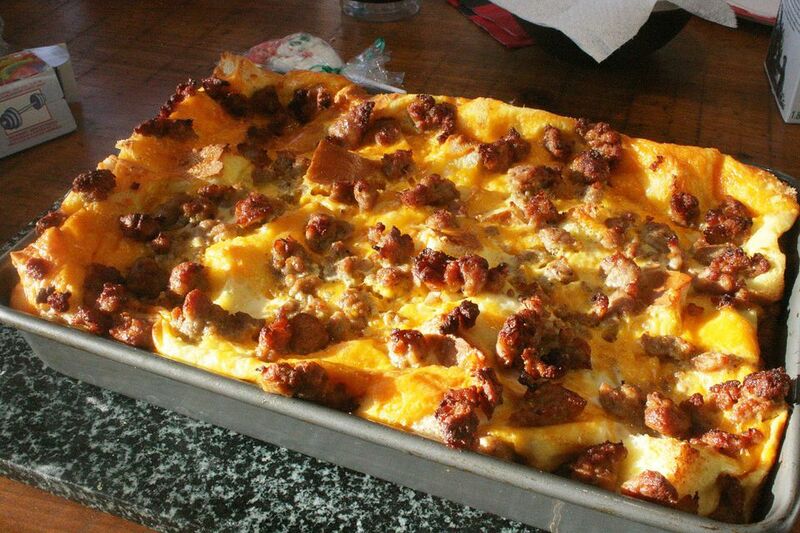 This delicious Bacon Tater Crockpot Breakfast casserole recipe cooks overnight in your crockpot. I love the combination of tater tots, Canadian bacon, onion, and egg. These ingredients are so comforting and perfect for a hearty breakfast. This is a great recipe to serve when you have people staying overnight at your house, or if you're hosting a brunch at Christmas or Easter. All you need to serve with it are some muffins or sweet rolls, and a fruit salad. Coffee, orange juice, milk, and tea are good choices for beverages. In a 4 to 5 quart crockpot, layer the ingredients in order: one third of the tater tots, bacon, onions, and cheeses. Repeat layers two more times, ending with cheeses. In a medium mixing bowl, combine eggs, milk, and flour and beat with whisk or egg beater until combined. Pour this mixture over the layers in the crockpot. Cover the crockpot and cook on low for 6-8 hours or until an instant read thermometer measures at least 160°F. Note: Please make sure you know your crockpot before you cook this recipe. If it cooks hotter - if food is done before the time called for in most recipes, you have a hot crockpot. Check this recipe at 5 hours; it may even be done then. Newer crockpots cook much hotter than older models, so you need to adjust your recipes accordingly. The final temperature of the food should be 165 degrees F.
See Are The Newer Hot Crockpot Good or Bad? for a discussion.